Our wonderful SeaKnees’ customers are the reason we’re in business. Below are some of the comments they’ve said about SeaKnees. In taking part in the Eastward boats 500 mile fishing trip around the southern part of Florida, I had the pleasure of running over 200 miles in all sea conditions with Paul, the owner of SeaKnees, over the last 3 days aboard the new Fusion 22. I can’t say enough good things about Sea Knees. The SeaKnees shock mitigation system smoothed out the waves even the meanest chop. 1. Eastward boats 500 mile trip – Sea Knees was glad to be a sponsor of a 500 mile promotional trip around southern Florida by Eastword Boats Inc. Please check it out on their website and Face book . 2. They agreed to give Sea Knees it’s largest Sea Trial to date. 3. The Bad news was the trip was interrupted about half way because of bad weather which would have put a dent on fishing and videotaping. The GOOD news is I was invited to join them for the second half in a new 22 ft. Fusion Center console. We started at Port of the Islands on Tuesday morning 6/13/17 and ended back at Port Saint Lucie Thursday 6/15/17 evening. 4. 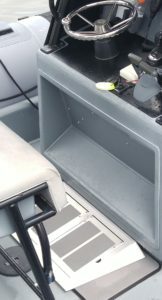 There were 3 sets of Sea Knees on two different boats and they were put to good use from short chop to 3 to 5 ft. seas off of Miami. 5. Two of the days we put on over 125 miles each day and after 8 hours plus, thanks to Sea Knees, were able to walk off the boat with no recovery time needed and looking forward to the next day. “I am a 71 year old chiropractor who was forced into retirement with disc problems in both my neck and low back. These injuries limited my ability to boat and fish. Activities I enthusiastically enjoyed my whole life. Since receiving the SeaKnees my days on the water have increased dramatically. The SeaKnees taking a lot of pounding pressure off both my spine and knees. I have recommended the Sea Knees system to my friends and family. I am convinced it can help with weight bearing joints and prevent damage in the knees and spine. “I own and operate a 28 foot Checkmate 280ZT and have had the opportunity to try Sea Knees up in NH on Lake Winnipesaukee. I think the best way to describe it is WOW. They take the jarring impacts associated with going fast and keep them from traveling up my legs and back. I find myself being able to relax more at speed. They also take and isolate the vibration from my body caused by the light chop. I love this new innovation. 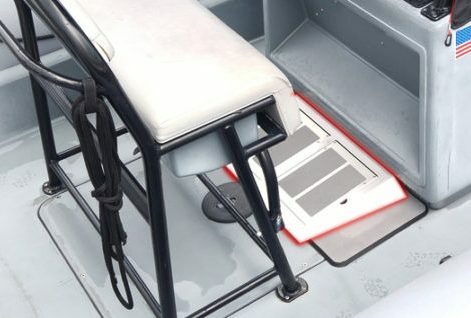 SeaKnees is the greatest innovation in boating since trim tabs! After back surgery, I thought my years of boating were over. Now I am thinking of buying a bigger boat. At 51, a full day of Saturday fishing meant a full Sunday of recouping from back and muscle pain; cutting my weekends in half. A friend told me about SeaKnees and I watched the video. I went out in three foot seas on SeaKnees and I felt like I was standing on marsh mellows. The next day I felt great. You won’t believe it till you have used them. I bought a SeaKnees, but I now can’t get them away from my wife. So, I am buying her a SeaKnees for Mother’s Day. I have been actively involved in boating since I was a toddler, some 40+ years ago. The last three years as a professional, logging approximately 25-35 hours a week on a work boat. These hours on the water consisted of all types of weather and sea conditions in and off shore of the Florida coast. The vessels that were operated, ranged from an 18ft flats boat to a 36ft RHIB. My current vessel is a 27ft RHIB powered by twin outboards. I am writing to share my experience with Sea Knees. I was afforded the unique opportunity to utilize Sea Knees in varying stages of development over the past two years. It is my belief that Sea Knees has cut the abuse handed down by water and waves by well over half. As the world around you literally bounces by, the Sea Knees smooth out the ride to a much more manageable and comfortable state. So much though, that if one is not careful, you can actually outdrive the boat. This in turn will cut down on injuries to the knees and back as well as fatigue and exhaustion from being constantly pounded on the boat. A recent SeaKnees experience occurred while running off shore in heavy seas to a high priority situation. 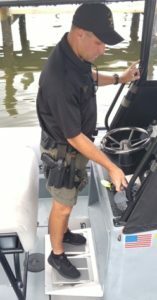 The Sea Knees on my 27ft RHIB allowed me to keep pace with a 31ft center console, arriving at the situation ready to work, with no recovery of my senses. I have had no issues, nor complaints about the Sea Knees. Also, all that have taken the opportunity to experience them in real conditions have sung praises. Sea Knees should assist in many more years of professional boating in an unforgiving world. Sea Knees makes boating a whole new and much more enjoyable experience for me. I was comfortably able to hold a drink while going over waves. It was like standing on a pillow. Anyone like me that doesn’t have sea legs needs Sea Knees. 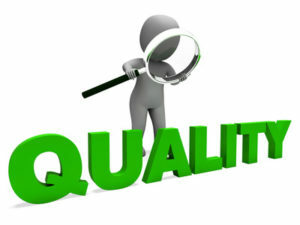 At SeaKnees we’ll do everything we can to make sure you’re a satisfied customer!